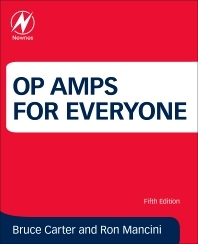 Op Amps for Everyone, Fifth Edition, will help you design circuits that are reliable, have low power consumption, and can be implemented in as small a size as possible at the lowest possible cost. It bridges the gap between the theoretical and practical by giving pragmatic solutions using components that are available in the real world from distributors. The book does not just give a design with a transfer function; instead, it provides design tools based on transfer function, getting you to a working circuit so you can make the right decision on which op amp is best for the job at hand. With this book you will learn: single op amp designs that get the most out of every amplifier; which specifications are of most importance to your design, enabling you to narrow down the list of amplifiers to those few that are most suitable; strategies for making simple tweaks to the design—changes that are often apparent once a prototype has been constructed; how to design for hostile environments—extreme temperatures, high levels of shock, vibration, and radiation—by knowing which circuit parameters are likely to degrade and how to counteract that degradation. Bruce Carter holds dual degrees, Engineering Physics from Texas Tech University, and Electrical Engineering at the University of Texas. He has over 30 years of experience in analog design for military and oil field service companies. He was an applications engineer at Texas Instruments for 9 years, where he authored application notes, contributed articles, and knowledge base FAQ's. 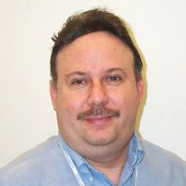 Ron Mancini has a BSEE degree from Newark College of Engineering and a ME degree from the university of Florida. He designed transistor circuits for about 10 years, and he designed solid state subsystems for the following 10 years. He spent more than 10 years doing applications engineering for analog ICs where he visited customers to advise on designs, solve problems, and help with the selection of analog ICs. He concluded his career with Texas Instruments doing analog applications work which included writing app notes, writing and giving seminars, troubleshooting customer designs, writing a book, and writing the Analog Angle column for EDN. During this period Ron accumulated 12 US Patents issued or applied for.